Book signings… most authors do them, but do they do them well? We have no idea because we don’t go to every single book signing in the world. But we can give our opinions on the ones we’ve been to and have done, right? 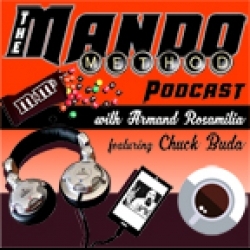 The Mando Method Podcast co-hosts Armand Rosamilia and Chuck Buda chat about all facets of doing a book signing like setup, pricing, reality of sales, swag and so much more. Then, Erin Sweet Al-Mehairi talks more about blogging on her Marketing Morsels segment, delving deeper into the subject. Finally, Armand shows off his culinary skills by making the greatest French toast in all the land.